Its beginning to look a lot like Christmas …. This week, we have started to decorate the house for Christmas. For me its not simply about the tree so the decorating will take a few days as I do window displays, tableaux etc. However, the tree is up and it is a beautiful real tree chosen by DH and gleefully decorated by us all. Today’s post is just to illustrate the stories behind some of my favourite decorations, dressing the tree is a reminder of our story and our joy at being a family. 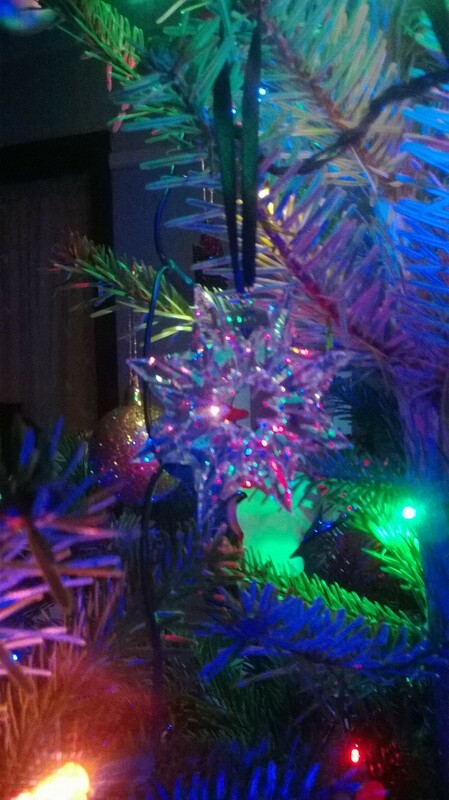 Our first decoration is a Swarovski star from 2003, the year of our wedding, its beautiful and the light shimmers and sparkles through it. 2003 was a wonderful year, we started the year on a dream holiday in Australia and married in Rome in the Summer, it was also my 30th birthday and a year full of hope, excitement and anticipation. For many years, I found Christmas really difficult, its a celebration for children and we desperately wanted our own family. During these years, Christmas was spent quietly at home or abroad on holiday. 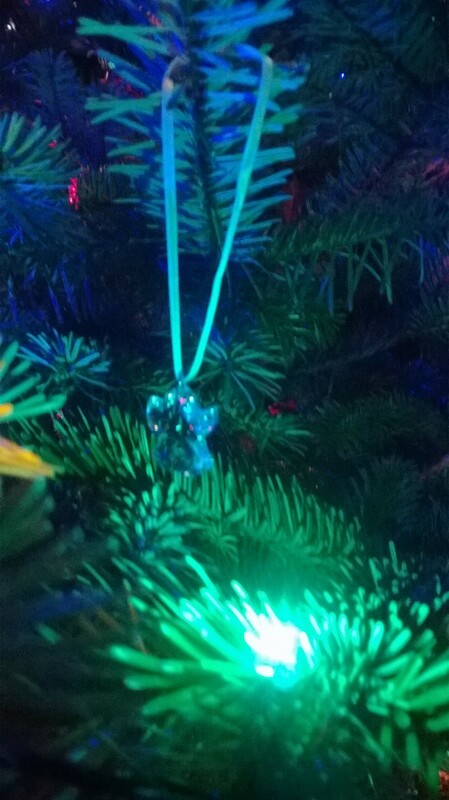 This Swarovski crystal angel is so important to me, its our little angel, our baby boy in heaven who is loved so much and always in our hearts and thoughts. I always shed a tear putting this up, so I do it on my own when I can have a few minutes to reflect. 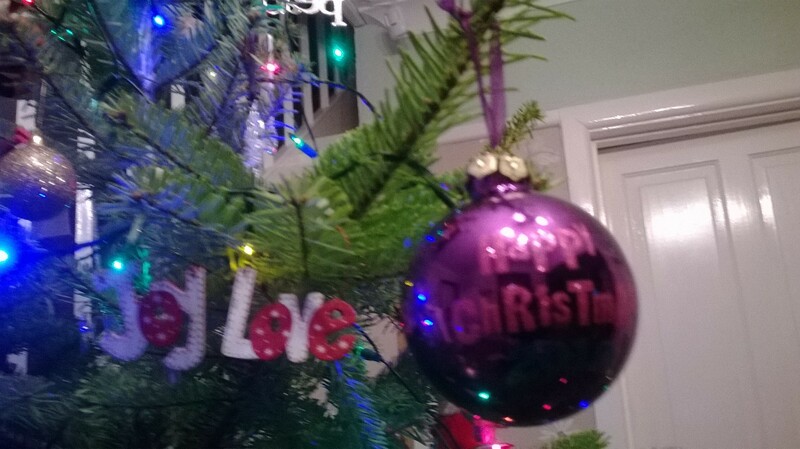 Whilst you cannot read the bauble clearly, it reads Happy Christmas 2010, the year all our dreams came true and we became a family. Joy and Love are placed around the bauble to remind us of the gifts our children have brought to us. 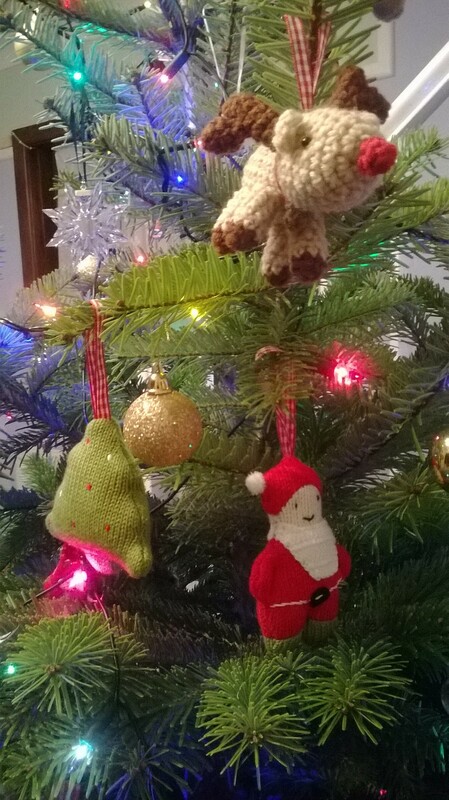 These knitted decorations are also from 2010, I loved getting ready for Christmas this year and my style changed from one of elegant stars and angels to bright and fun characters. Christmas in our house is bright, bold and fun now. Whilst we embrace the fun and excitement of Christmas, I strongly believe that we should also respect and honour the true Christmas story. We have a very simple Nativity scene, I ‘inherited’ it from Mum and Dad who bought in one year on holiday, I loved it so much it was gifted to me after lots of hints. Its simplicity is what appeals so much. 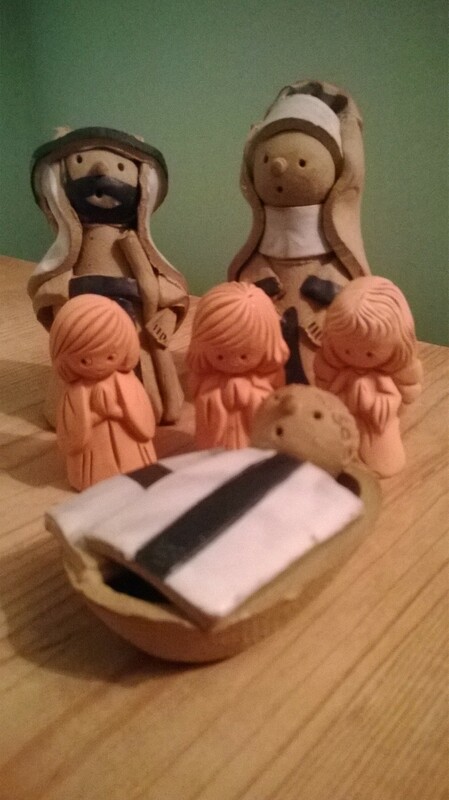 I have a full nativity scene on my wooden Advent calendar but this is my favourite. The angels remind me of our annual trip to the Cologne Christmas market, I taught German to just one class but this was suffice to get me on the trip as a leader, the best school trip of the year. Traditionally the angels are hand crafted and unique and I would buy one every year for my decorations. 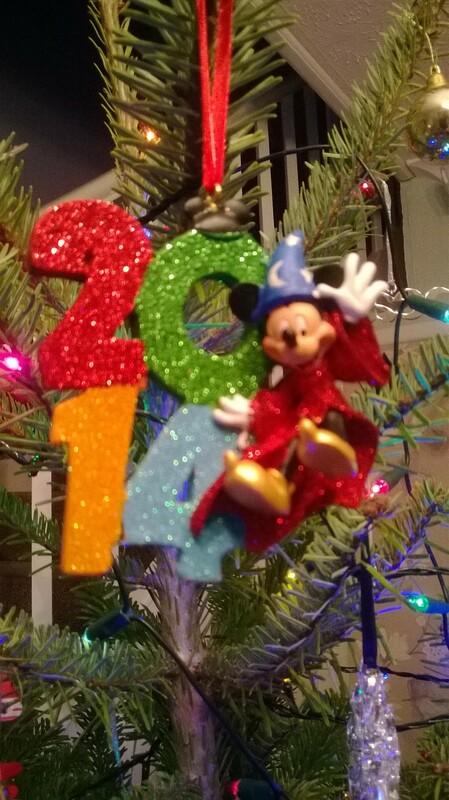 Finally here is this year’s new decoration, I like to add one decoration a year and with this year’s first visit to Disney, this was my special purchase. Its bright, glittery and fun, perfect for us and reminds us of a very special family time. I love that our Christmas tree tells the story of our family. It is complemented by the children’s’ beautiful home made decorations and each year a little more history is added.